A wonderfully entertaining read for cricket fans and lovers of the game. Having experienced exhilarating moments in fandom for nearly five decades across four continents, Ranjan Mellawa insists that cricket is a greater story than told by a scorecard. As a roving devotee, he has witnessed all six Cricket World Cup finals in ODI and T20 that Sri Lanka have featured in. A gripping narrative recalls unique events and off-field anecdotes, some involving famous cricketers. Insights into Sri Lanka's pre-Test days followed by a fascinating account of its troubled latter-day cricket administration. 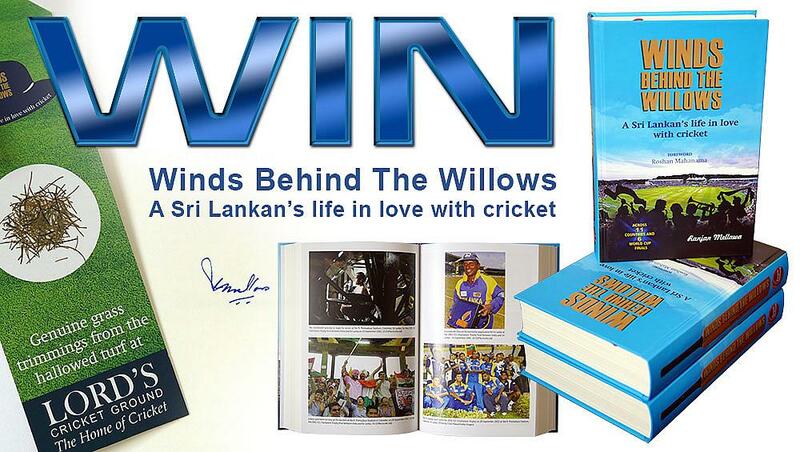 "Winds Behind The Willows provides a genuine, independent, real-life view into the world of Sri Lankan cricket. 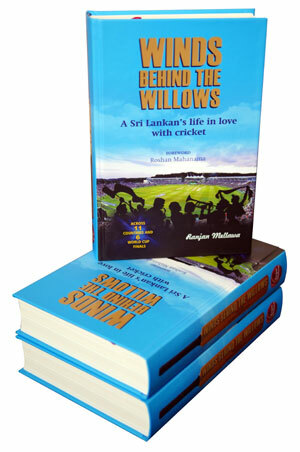 It’s fascinating and thought provoking book that has clearly been written with a lot of love for the game"
Muttiah Muralidaran - "This is a remarkable odyssey of a genuine cricket fan who has presented the reader with a ringside picture of Sri Lankan cricket in the context of the evolution of the international game"
Simply answer the question correctly on the form below and you will be entered into the prize draw. 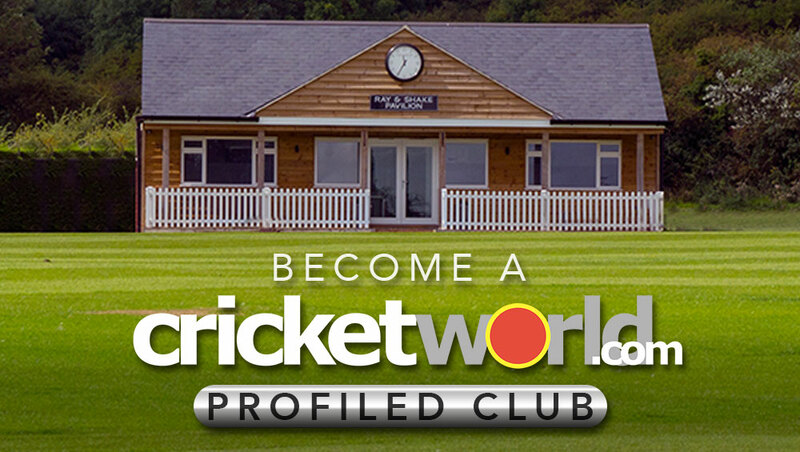 The Prize Draw will take place on July 31th and the lucky winners will be notified by email. 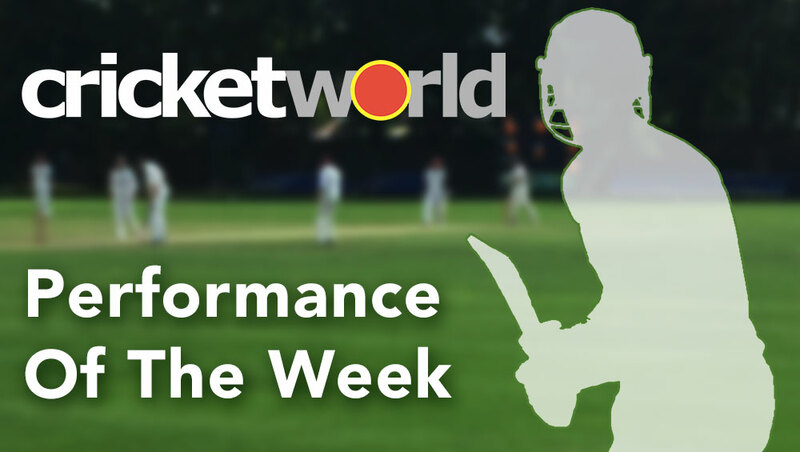 Usual Cricket World Competition rules apply.